The undersigned is directed to invite attention to Ministry of Finance’s OM No. 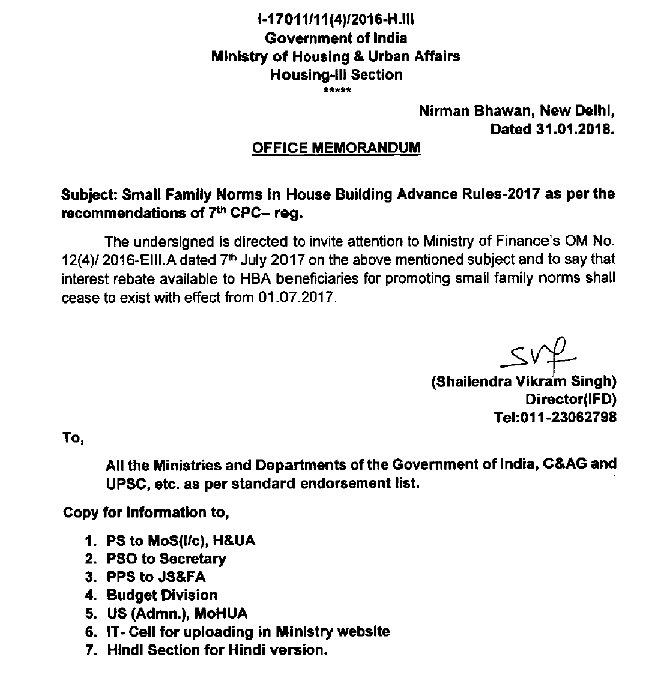 12(4)/2016-EIII.A dated 7th July 2017 on the above mentioned subject and to say that interest rebate available to HBA beneficiaries for promoting small family norms shall cease to exist with effect from 01.07.2017. UPSC, etc. as per standard endorsement list. 7. Hindi Section for Hindi version.